JUNE 2016’s 4th Annual Creative Arts Fest MASTER CLASS CAMP is now accepting registrations. There is no other event like it in the US – one where you can take full day workshops and choose from 8 talented and highly diverse artist/instructors. We have something for everyone! Instructors include: ROBERT DANCIK, DONNA GREENBERG, DOREEN KASSEL, JANA LEHMANN, MELANIE MUIR, OLGA NICOLAS, SYLVIE PERAUD, and LYNNE ANNE SCHWARZENBERG. Over the past 8 1/2 years, we have striven to bring you some of the best and brightest artist/instructors available to Cabin Fever and Master Class Camp. Cabin Fever, in its 9th year is no different and once again, a premier event offering workshops from: LISA PAVELKA, MAUREEN CARLSON, DAYLE DOROSHOW, NANCY ENNIS, LISA HANEY, LINDLY HAUNANI, ANKE HUMPERT, DOREEN KASSEL, ROBERT LIU, JANA LEHMANN, ANN and KAREN MITCHELL, NAN ROCHE, LYNNE ANN SCHWARZENBERG, and EUGENA TOPINA. Registration continues for all attendees – click here to register. Some have asked about the change in format. The fact is, we listened to what our attendees were requesting – longer classes from more instructors. The new format offers more full-day workshops and fewer 4-hour workshops with additional class time at a lower fee – bringing attendees more bang for their buck! If you have questions about the format, just write us – we’ll answer your inquiries as quickly as possible. Lisa Pavelka, who has brought the polymer community many useful tools and techniques, will be teaching several workshops and will be honored with the Creative Pioneer and Innovator Award for her contributions over the years. Last year’s honoree, Maureen Carlson, will present the award and will also be teaching workshops at the event. Click here to find out more on the workshops being offered. YES! WOO HOO! I tried and finally succeeded! Registration is now officially opened for Cabin Fever to be held in Laurel, MD, Feb. 12-17, 2016. We were able to shave a day off the schedule which is literally jam-packed with incredible workshops! Classes will be filled on a first-come, first-served basis. Online registration is available as well as online hotel reservations. Instructors include: LISA PAVELKA, MAUREEN CARLSON, DAYLE DOROSHOW, NANCY ENNIS, LISA HANEY, LINDLY HAUNANI, ANKE HUMPERT, DOREEN KASSEL, ROBERT LIU, JANA LEHMANN, ANN and KAREN MITCHELL, NAN ROCHE, LYNNE ANN SCHWARZENBERG, and EUGENA TOPINA. YOUR ONLINE REGISTRATION CAN BE SUBMITTED BY CLICKING HERE. ONLINE HOTEL RESERVATIONS CAN BE MADE HERE. Have you seen what Tracy Holmes has been up to? WOW! She’s got a great article in the Summer issue of The Polymer Arts Magazine AND she will be debuting her new colour cards during her 2-day workshop at right here in Maryland during Master Class Camp in July. 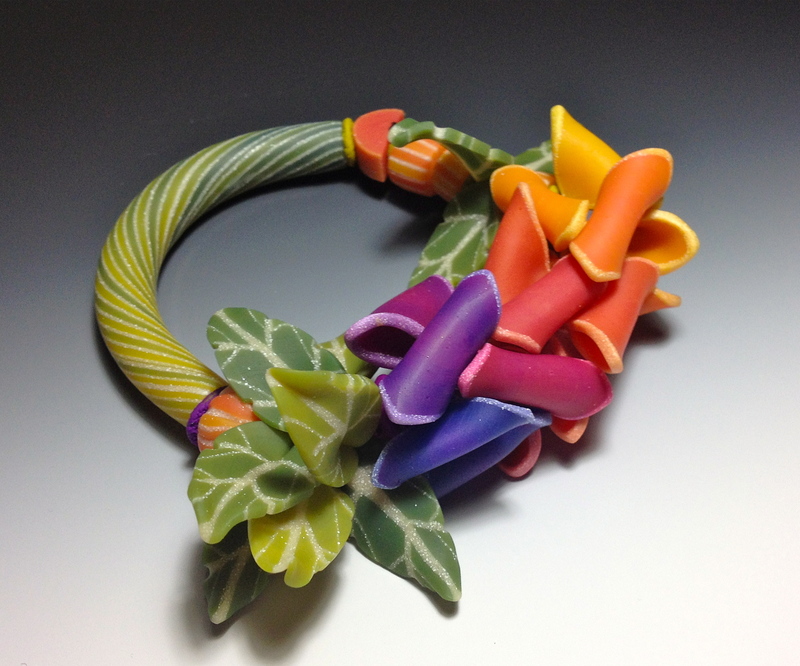 Tracy’s color and Dan Cormier’s Matrix Cane workshop sounds like a terrific combination! STILL TIME TO REGISTER FOR MASTER CLASS CAMP IN JULY. Eugena Topina, originally from Russia, has used her science background in planning and creating new and innovative multi-functional tools for use with polymer and other media. The stamps, created from scrap polymer and small strips of metal, are exquisitely detailed with simple, elegant lines. She does not teach very often and we are lucky to have her living here in Maryland. This will be her first time teaching at Master Class Camp and she is thrilled to be among some of the other talented instructors. Take a look at some of her other work and you will see the value in learning from her. Workshop descriptions can be found here and online registration can be done here. I’ve experimented with color since childhood, whether with crayons, paints, and in the last 15 years – polymer. However, I know that there is always more to learn and and many techniques used to achieve the final rainbow of colors. 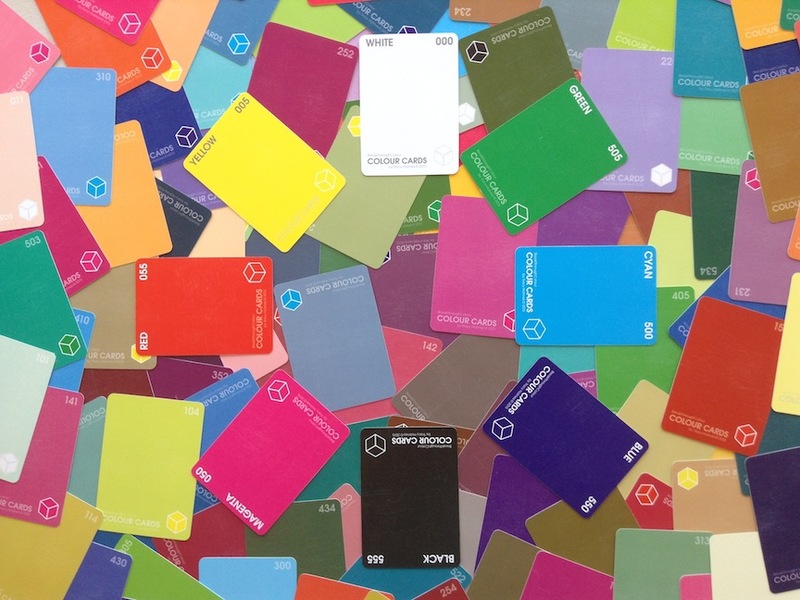 At MCC 2015, you will have two workshops specifically designed to test and explore your personal color palletes. Lindly Haunani is one of the best in the polymer world for working out your color spectrum. Her new workshop, Incredible Almost Edible Color, will take you to from zero to sixty in your color pallete. These luscious colors can make many hungry to taste test their own recipes. Thanks to Cynthia Tinapple at PCD yesterday, Lindly’s workshop is filling fast. If you want in, register today! Updated workshop information is here. Online registration can be found here. Tracy Holmes, partner to Dan Cormier, is not new to polymer, but she is new to teaching at Master Class Camp. I was intrigued last summer when Tracy taught an impromptu mini-color workshop at MCC 2014, so I asked her to expand on it and invited her to teach this year. Tracy and Dan have been working for years to develop different color palletes that marry nicely with his bead shapes. They have certainly accomplished that. Join Tracy and learn another way to experiment with color. Updated workshop information is here. Online registration can be found here.